Lancaster has a large number of Georgian Buildings, a Castle, a Priory, the City Museum, Maritime Museum and the Judges Lodgings. The shopping area is a large island between opposite flows of the A6. 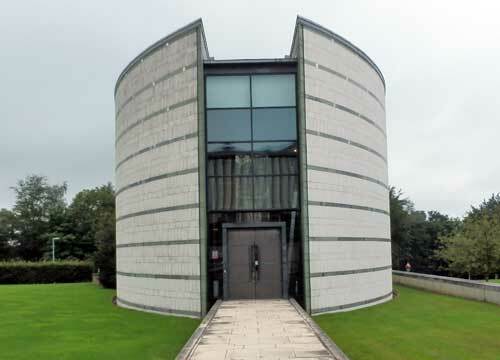 Lancaster University is a few miles south on the A6, in a country setting, but next to the M6. This contains a local history display containing interesting Roman remains and the King's Own Royal Regiment Museum. The displays are well presented with clear explanations. 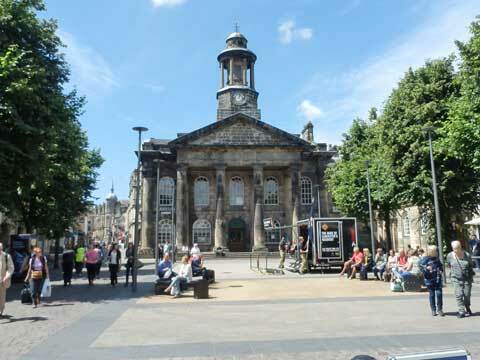 It usually has a special exhibition, recently commemorating 400 years since the trial of the Pendle Witches at Lancaster. It isn't a big museum but we enjoy visiting. Link to the Lancaster City Museum website the Maritime Museum is also on this link. On 26th November 2016 there was an open day at the premises of Standfast & Barracks called 'Behind the Wall', a pointer to the long wall on the road from Lancaster to the M6. The factory has been there some 150 years and was a Wagon Works, making the Royal Train of Edward VII. 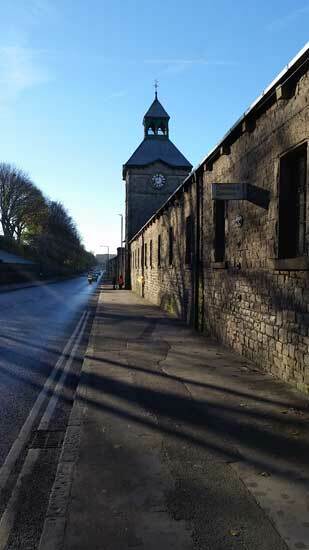 It was then a WW1 Prisoner of War camp before becoming a material finishing factory. The company takes in the basic material and treats it before printing with the patterns of famous design names. 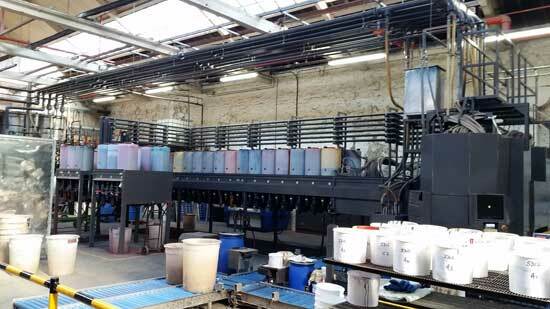 They are currently expanding their digital printing equipment which allows short runs of very complex designs. The open day is a starter for an exhibition in Lancaster Museum in March 2017. There was a good turn out with several guided tours of about 30 people and a waiting list. The factory shop is an attraction as the material is very well priced, I'm told. John Ruskin (1819-1900) was a world famous writer, art critic, draughtsman, watercolourist, social thinker and philanthropist. 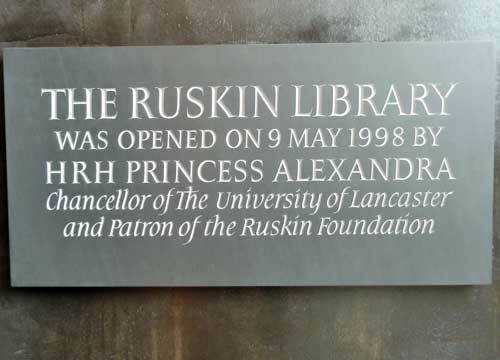 In 1998 Lancaster University opened this library which is open to the public and contains displays of his works and a store of work for use in research. The Library has a smart research area where you can sit quietly with facilities for study.